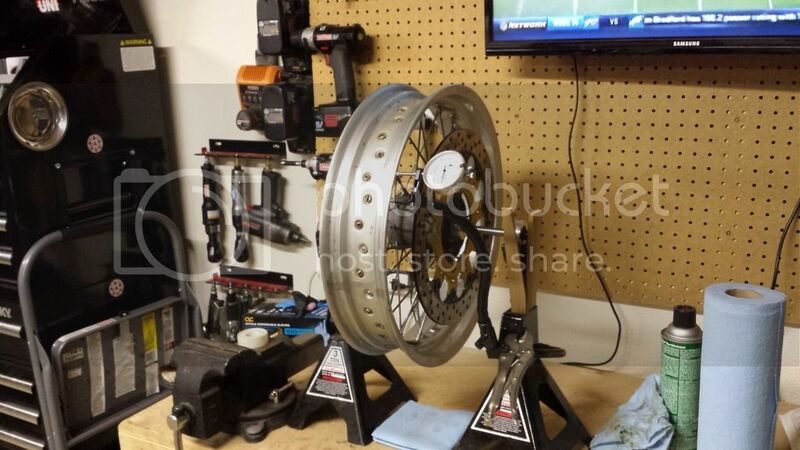 Are there any shops or individuals in the Portland area that True spoke rims? I know there's the place on about 7th and Alberta that does truing. I'm sure there are closer places to you in Beaverton. I have a truing stand if you want to do it yourself. Pm me if so. If you can, it's not that hard to do yourself. Get a motorcycle tire balancer, one of these dial indicators, watch this how to, and a spoke wrench. I fairly easily trued mine to about a 1/4 of factory tolerance and these wheels have seen some rough treatment.